The Algarve is known for its exotic coastline and beautiful beaches, but the region is less renowned for its adventure sports. With 69 blue flag beaches and as a meeting point of the Atlantic Sea and Mediterranean Ocean, Portugal’s most popular holiday resort can be a big adventure. Here’s a guide to some of the region’s most exciting adventure sports. The ultimate extreme sport, no adrenaline high can match the thrill of jumping from a plane thousands of feet above the ground! 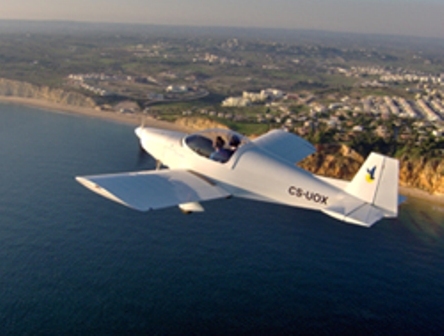 The Algarve’s gorgeous weather makes it the perfect place to hit the skies. Not only will you have the sensation of the wind rushing past you but you’ll have a fantastic view of the ocean and coastline too. 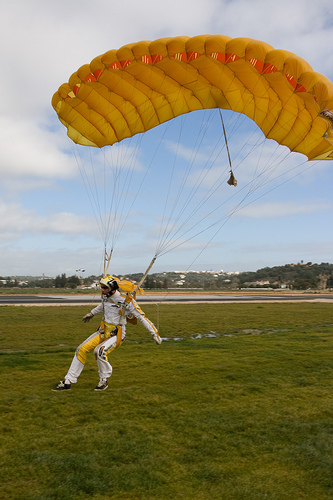 You can take a tandem jump or even a course to earn your solo jump licence. 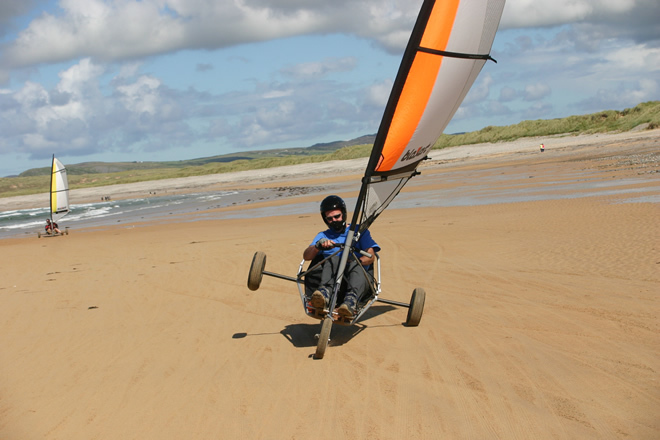 Think of a cross between a tricycle, a go-kart and a windsurf and you’re probably imagining a blokart – or at least something very similar! Blokarting in the Algarve is a great way to see some of the amazing coast near Sagres, and the area’s strong winds make it the perfect place to try the sport out. Each session includes practice time, as well as the chance to pit yourself against your friends and family in a half hour race. It’s fun, easy to learn and definitely gets the blood pumping. If you fancy yourself a modern-day Indiana Jones then you can’t holiday without taking advantage of the floatplane flights in the Algarve! You might not be fighting Nazis or escaping from booby-trapped tombs, but you too can take off in style from the sea in one of these incredible amphibious craft. Flights are available for one hour or thirty minutes and you can even have a go at piloting yourself – under instruction of course! A microlight is somewhere in between an aeroplane and a hang glider, and when you take microlight flights in the Algarve you get the security of the former and the excitement of the latter. It’s a pretty breathtaking way to view the Atlantic coast and beautiful Portuguese countryside. There are a whole range of flights you can take too, from a 10 minute jaunt over Lagos to an hour trip along the coast and back. If you’ve done the skydiving, blokarting and the rest already and want something just that bit more sedate, then hot air balloon rides are definitely for you. The balloon will take you over the mountains and hills of the Algarve and give you a chance to see the landscape in a way that you never have before. They’re perfect for the family, so even little thrill-seekers can join in. Of course, there are loads of other great ways to raise your heart-rate in the Algarve, from scuba diving to quad biking to rock climbing. It’s perfect for adrenaline junkies of all ages – there’s loads more than just beaches and golf courses on Algarve holidays! This entry was posted in Air Sports, Europe, Land Sports, Sky Diving, Travel and tagged Blokarting, Extreme Sports, Floatplane, Hot Air Ballooning, Mirolight, Sky Diving, Skydiving, The Algarve. Bookmark the permalink.